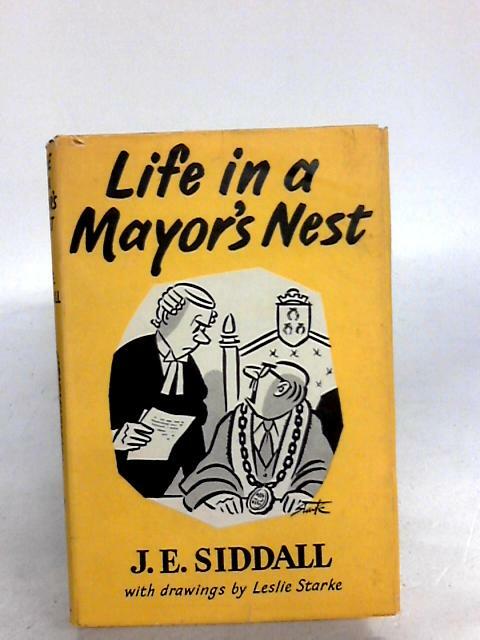 Life In A Mayor's Nest by Siddall, J. E.
1961. 160 pages. Yellow pictorial dust jacket. Binding is firm. Light tanning and thumb marking throughout. Mild foxing, mainly affecting the endpapers and page edges. Light page scuffing with some dog-eared corners. Boards have mild shelf wear with light rubbing and corner bumping. Some light marking. Jacket has heavy edge wear with minor tears and chipping. Mild rubbing, scuffing and marking.